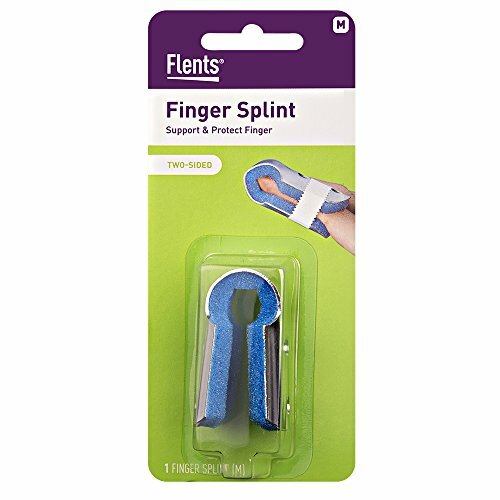 Flents Two Sided Splint. This splint has a rigid but moldable frame that allows you to shape the brace for your comfort. The splint fully encompasses your finger to help immobilize it and expedite healing. 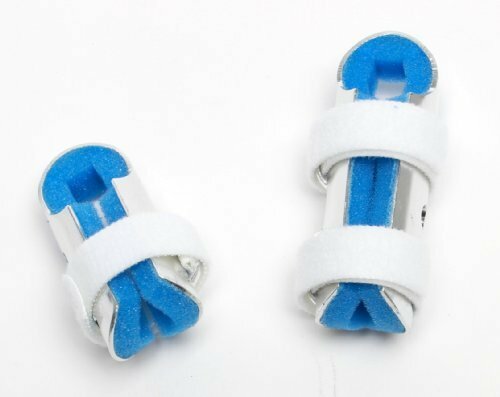 Key features of the Two Sided Splint include, comfortable fit, tape free design. The product has a sturdy metal bracing that can be molded for your comfort and is built to last. About Flents: Flents has developed a line of innovative personal care products. Popular products include Insty Splint finger splints, sleep masks, hot/cold water bottles, ice bags and eye patches. Flents products offer simple solutions for at-home health and wellness needs. No Fuss, No Muss, No more Tape. Protects Injured Finger! Value Pak™! Contents: 1 Medium & 1 Large Size, Splint. Patented Loop Design. Hook & Loop Bands Secure Splint. Tape Free™ Design. Padded for Comfort. Used to hold an injured finger in the desired position, and to prevent further irritation and injury. Hook & Loop bands insure a snug fit and eliminate the need for taping. 1/4" thick polyester padding keeps finger dry and comfortable. 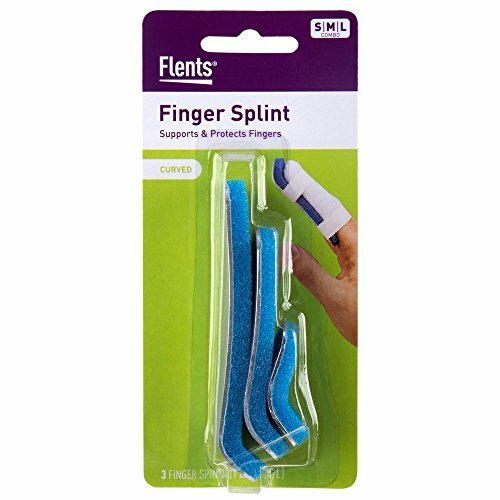 Flents Two Sided Splint (Large). This splint has a rigid but moldable frame that allows you to shape the brace for your comfort. The splint fully encompasses your finger to help immobilize it and expedite healing. Key features of the Two Sided Splint (Large) include, comfortable fit, tape free design. The product has a sturdy metal bracing that can be molded for your comfort and is built to last. About Flents: Flents has developed a line of innovative personal care products. Popular products include Insty Splint finger splints, sleep masks, hot/cold water bottles, ice bags and eye patches. Flents products offer simple solutions for at-home health and wellness needs. 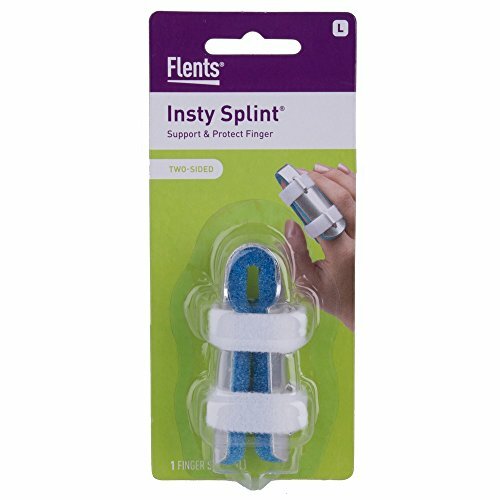 Flents Two Sided Splint Value Pack. This splint has a rigid but moldable frame that allows you to shape the brace for your comfort. The splint fully encompasses your finger to help immobilize it and expedite healing. Key features of the Baseball Splint include, comfortable fit, tape free design. The product has a sturdy metal bracing that can be molded for your comfort and is built to last. About Flents: Flents has developed a line of innovative personal care products. Popular products include Insty Splint finger splints, sleep masks, hot/cold water bottles, ice bags and eye patches. Flents products offer simple solutions for at-home health and wellness needs. Flents Assorted Curved Splints. 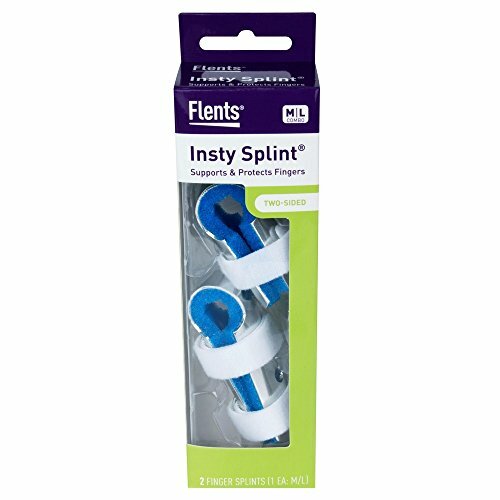 Flents This splint has a rigid but moldable frame that allows you to shape the brace for your comfort. The splints have an extended frame that protects the tip on the finger. Key features of the Assorted Curved Splints include, comfortable fit, tape free design. The product has a sturdy metal bracing that can be molded for your comfort and is built to last. About Flents: Flents has developed a line of innovative personal care products. Popular products include Insty Splint finger splints, sleep masks, hot/cold water bottles, ice bags and eye patches. Flents products offer simple solutions for at-home health and wellness needs. DetailsUsed to hold an injured finger in the desired position, and to prevent further irritation and injury. Hook and Loop bands insure a snug fit and eliminate the need for taping. 1/4 inch thick polyester padding keeps finger dry and comfortable. Contents: 1 medium insty-splint, two-sided splint and 1 large insty-splint two sided splint.Directions1. Cleanse finger and wound. Stop any bleeding by direct pressure on wound by using a clean gauze pad and elevating hand until bleeding has stopped. 2. Apply small amount of antibiotic cream to any areas of broken skin. 3. If skin is broken, use a small non-stick sterile gauze pad on wound. Wrap the gauze around finger 1-2 times. To secure the dressing, wrap thin strips of adhesive tape around gauze 1-2 times. 4. Place the finger in center of splint and gently apply pressure around splint to mold fit. Fasten Hook-and-Loop bands to hold splint in place. Splint should be snug but not tight. 5. If redness, swelling, or pain persists, consult your doctor at once. 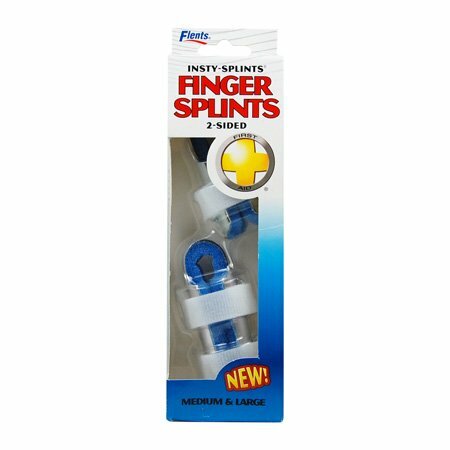 Looking for more Flents Two Sided Finger Splint similar ideas? Try to explore these searches: Convection Smoothtop Range, George Mason University Basketball, and Baseball Briefcase. Look at latest related video about Flents Two Sided Finger Splint. Shopwizion.com is the smartest way for online shopping: compare prices of leading online shops for best deals around the web. 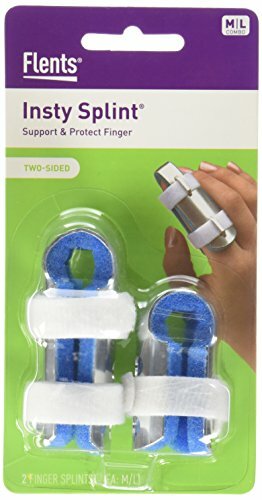 Don't miss TOP Flents Two Sided Finger Splint deals, updated daily.